With a maximum of just seven passengers on each safari, you’ll have the opportunity to enjoy views from your own window seat – great for photography, as well as viewing the wildlife. 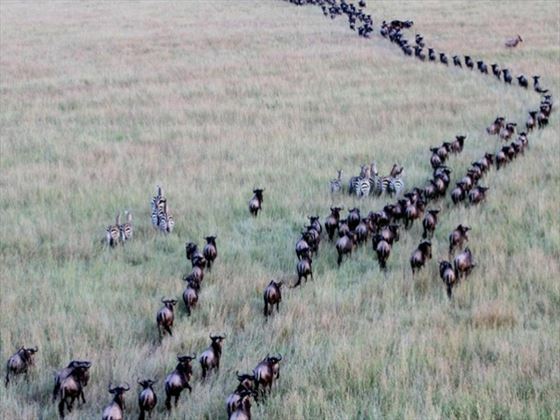 Over the course of seven days, you will visit the Masai Mara, Lake Nakuru, Samburu and Aberdare National Parks, enjoying incredible animal encounters and authentic safari experiences. 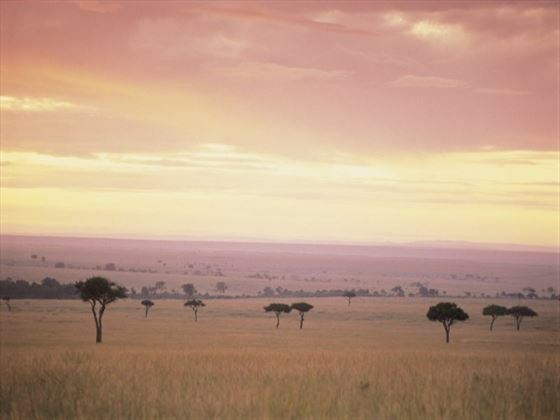 By choosing our Magical Kenya package, you really are in for the holiday of a lifetime. If you're interested in our seven-night Magical Kenya Safari, why not combine it with a stay on the beautiful island of Mauritius? You will be greeted at Jomo Kenyatta International Airport upon your arrival. After clearance with customs, board our minivan safari vehicle for your transfer to the Tribe Hotel for check-in and refreshments. Please note, check-in is available from 12 noon, however, subject to availability, you may be able to check-in earlier. You can choose whether to relax and unwind after your flight in preparation for your adventure ahead, or you may wish to pre-book lunch or dinner (at extra cost) at the Carnivore Restaurant or perhaps an afternoon visit to the Giraffe Sanctuary. After breakfast, check out of the hotel and drive north in our 4x4 pop-up roof safari vehicle to Samburu National Reserve. This 375km journey will take approximately 6 hrs. On arrival, check in and enjoy a spot of lunch at the Samburu Sopa Lodge. 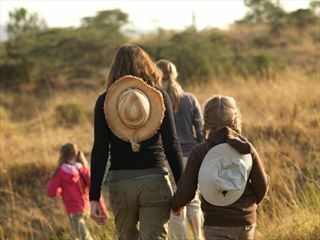 After relaxing, proceed to a late afternoon game drive in the reserve, returning for dinner and an overnight stay. 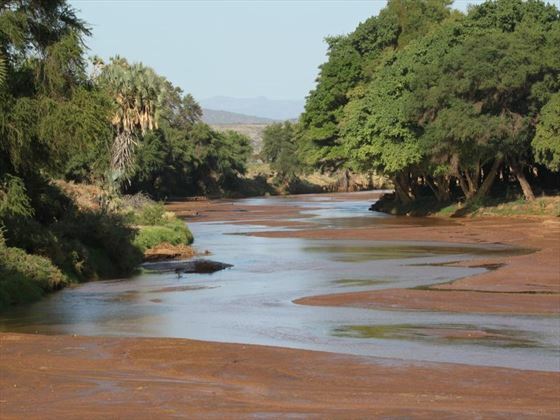 Enjoy a full day in Samburu National Reserve with early morning, mid-morning and afternoon game drives in our 4x4 safari vehicle. All meals and an overnight stay take place at Samburu Sopa Lodge. 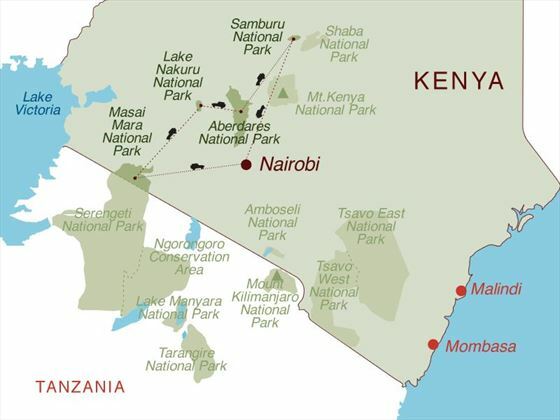 After breakfast, check out and enjoy a drive in our 4x4 safari vehicle to Aberdare National Park. This 215km journey will take approximately 4.5 hrs. Lunch will take place at Aberdare Country Club, your base hotel. Later in the afternoon you will be transferred to The Ark Tree Lodge where you will spend your night viewing the wildlife from above, as the animals come to the waterhole. Dinner and an overnight stay take place at the lodge. Please note that you can only take a small overnight bag to the Ark – the rest of your luggage will be stored at The Aberdare Country Club. After a cup of tea or coffee, check out of the tree lodge and board the transfer vehicle to the Aberdare Country Club for a full breakfast, after which our driver will assist you in collecting the rest of your luggage. 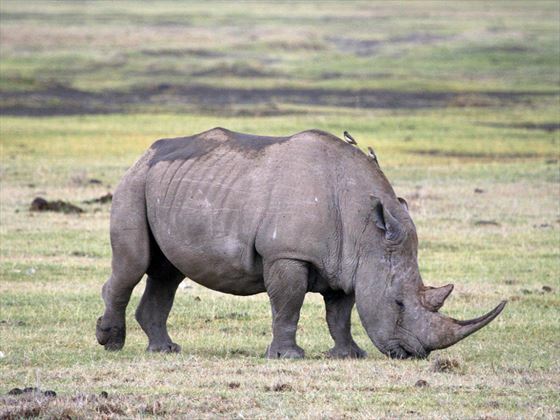 Drive to Lake Nakuru National Park where you may spot rhino, enjoying a game drive en-route. This 210km journey will take approximately 3-4 hrs. 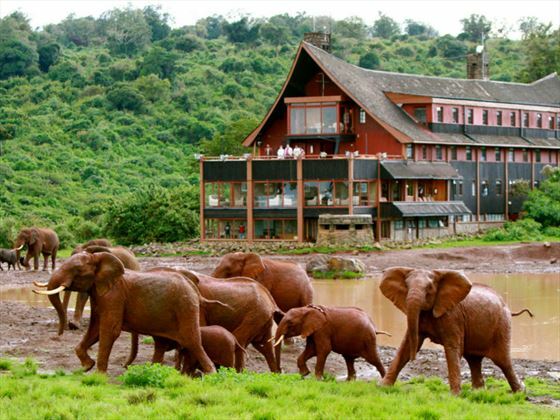 Later, arrive at Sarova Lion Hill Game Lodge for check-in and lunch. 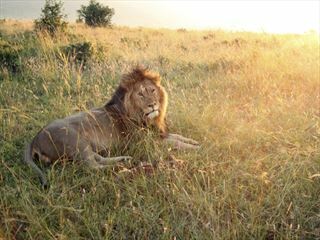 After relaxing, proceed on an afternoon game drive in the park returning later for dinner and an overnight stay. 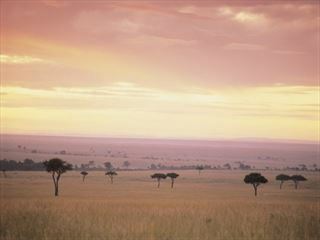 After breakfast, check out and drive south west in our 4x4 safari vehicle to the Masai Mara National Game Reserve. This 340km journey will take approximately 5 hrs. On arrival, check in and enjoy lunch at Keekorok Lodge. After relaxing and enjoying lunch, proceed on to an afternoon game drive, returning later for dinner and an overnight stay. 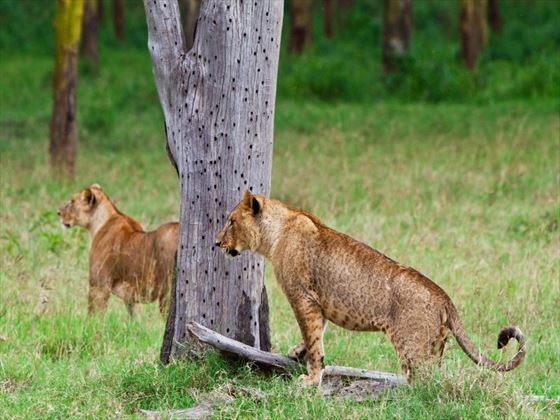 Enjoy a full day in the Masai Mara National Game Reserve with early morning, mid-morning and afternoon game drives in our 4x4 safari vehicle. Overnight at Keekorok Lodge. After an early breakfast, check out and have an early morning game drive en route to the park gate. 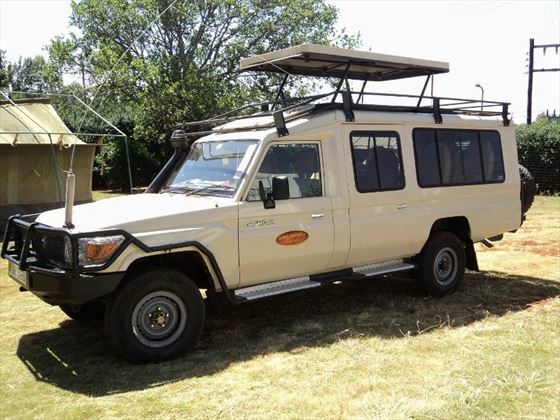 Drive back to Nairobi city in our 4x4 safari vehicle, a 350km journey which will take approximately 5 hrs. Continue on to Jomo Kenyatta International Airport to board your departure flight back home or fly on to a beach destination to continue your holiday. Following your tour, there is the option to extend your holiday with an onward journey to some of Africa’s popular beach locations. 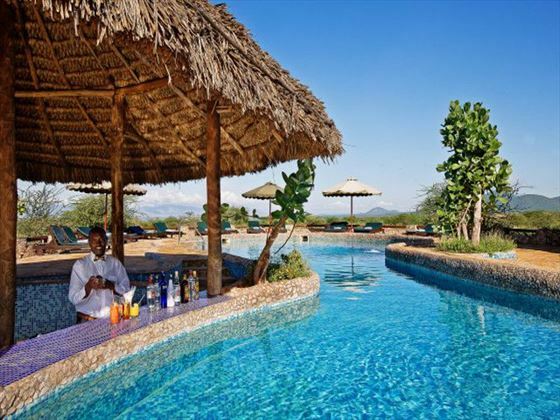 From here, beach stay destinations can include Mombasa and Zanzibar. * Samburu Sopa will be closed for maintanance from 8 Mar - 9 Jun. 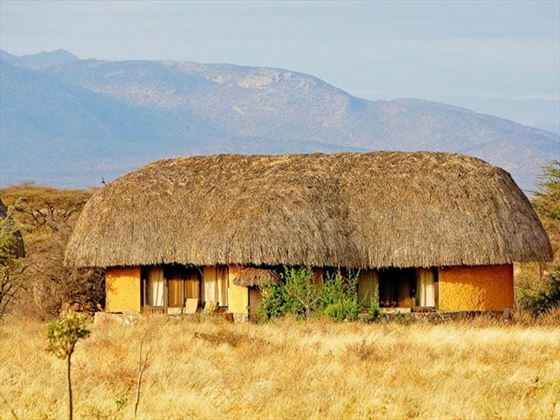 Accommodation on Day 2 will be at Samburu Intrepids Camp during the closure of Samburu Sopa. Prices correct as at 6pm on 20 Apr 2019. Please call for final price. Prices are per person based on 2 adults sharing a room. Other durations available - call for quote. Thursday departures . Different hotels of a similar standard may be used on certain departures. Supplements may apply on dates within certain dates during peak travel periods. Flights from London Heathrow. Regional connecting flights are also available. Air fares vary considerably so a variety of airlines may be included in your quote to ensure you are presented with the best available price. If you would prefer to fly from a different airport or with a different airline, our Travel Consultants will be happy to adjust this at the time of enquiry and a supplement may apply. Alternative airlines with flights to Nairobi include Emirates, British Airways, Qatar Airways, Turkish Airlines and KLM.